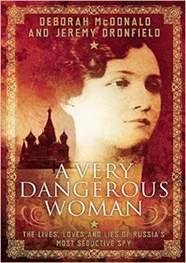 Jeremy Dronfield and Deborah McDonald are the authors of A Very Dangerous Woman: the Lives, Loves and Lies of Russia’s Most Seductive Spy (2015). Next year will be the 70th anniversary of H. G. Wells’s death. Besides being one of the great visionary writers of his generation, Wells was a renowned womanizer; the novelist Arnold Bennett marveled at his energy, with “four new novels and five new mistresses every year.” But Wells met his match in Moura Budberg – aristocrat, socialite and spy, she was the one lover he was unable to tame, and yet the one he desired above all others. She loved another. H. G. Wells first encountered Moura Budberg (or Benckendorff as she was then) in 1920 during a visit to Russia. Like many other British progressives, Wells was intrigued by the new Bolshevik state, and wanted to see it for himself. He stayed in Petrograd (as St Petersburg was then called) with his old friend and fellow writer Maxim Gorky. Gorky enjoyed an almost messianic status in Russia and lived in a commune with a group of followers. The Bolshevik government was wary of Gorky because of his huge popularity and his intellect; he sympathized with Socialism but was wary of the Bolshevik state. During his stay, Wells was provided with a guide and interpreter called Moura, a young aristocrat who had suffered from the Revolution and had recently joined the Gorky commune. She worked as a translator but her real role was as Gorky’s housekeeper and de facto wife. Moura had been born into a wealthy Ukrainian family in 1892 and married a conventional aristocratic Estonian diplomat, who was later murdered (apparently by revolutionary activists, although a question mark hangs over Moura’s possible involvement in his death). Following the Revolution, in which she gradually lost all her wealth and privileges, she had spied for and against the Bolsheviks. She enjoyed a close relationship with British agents in Russia, and was suspected of duplicity by all sides. Wells fell for Moura almost instantly. (He wasn’t the only one – Bertrand Russell, who had visited a few months earlier, had been fascinated by her too.) The Revolution had left Moura destitute, and yet, no matter how degraded her situation, in Wells’s eyes, she was magnificent. She hadn’t been lowered by what she’d been through, Wells recalled, “and seemed not simply to brave the world but disposed to order it about.” He thought her brave, resilient and adorable. They slept together during his visit, thus beginning a relationship which would last for the rest of Wells’ life. For the next 16 years, Moura divided her time between the two great writers in her life, each of whom became more jealous and possessive. When she moved to England in 1929, she became Wells’s constant mistress, but still returned periodically to visit Gorky (using a passport covertly endorsed by the Soviet secret police). She took other lovers too. Wells wanted to marry her, but she was “not such a fool,” and repeatedly refused. Gorky loved Moura deeply, and grew ever more dependent on her visits. Moura was fond of him and admired him greatly, but never loved him romantically. None of the lovers with whom she amused herself ever possessed her entirely – her heart had already been taken years before by the romantic British agent Robert Bruce Lockhart – a man skilled equally with a pen or a revolver. Lockhart had come to Russia in 1918 as Britain’s secret representative to the new Bolshevik government (none of the Allied nations recognized it as a legitimate government, but most sent “unofficial” diplomatic agents). He met Moura, who had been employed by the British Embassy as a clerk and had many close British friends, and the two fell immediately in love. Their affair, which was intensely passionate, was entangled with a complicated and dangerous political plot. Besides his diplomatic work, Lockhart was mixed up with a network of British secret agents (including the famous Sidney Reilly, the “ace of spies”) who were plotting to undermine the Bolshevik state, foment a monarchist uprising and capture or assassinate Lenin and Trotsky. The plot was doomed; it had been infiltrated by spies of the Cheka (the Bolshevik secret police). Reilly fled and vanished, but Lockhart was caught and interrogated by the terrifying head of the Cheka, Yakov Peters, and then imprisoned in the Kremlin. It was widely believed that Lockhart would be shot. His fate appeared to be sealed. What chance did he have of being released when the Bolsheviks knew about his part in what had already become known as “The Lockhart Plot” and the press were calling for blood? And yet, after just a month in prison, Lockhart was set free and deported from Russia. Nobody ever really understood why. New evidence uncovered in A Very Dangerous Woman reveals the full story of an arrangement between Moura and Yakov Peters. She became his mistress, sacrificing herself to a man she feared and despised. Under her influence Peters falsified his official report on Lockhart, minimizing his involvement in the plot, thereby justifying his release. Peters even attempted (unsuccessfully) to turn Lockhart to the Bolshevik side. When Lockhart left Russia, he and Moura pledged to divorce their spouses and spend their lives together. This was not to be. Lockhart – for whom Moura had sacrificed her dignity and her safety – let her down. He returned to his wife, with whom he then had a baby. This was a dreadful blow to Moura – during their affair she had become pregnant by him, and the unborn child had been the focus of their future plans, but she had miscarried while he was in prison, breaking both their hearts. Betrayed and desperate, Moura sought refuge in Maxim Gorky’s commune of intellectuals, where she later met H. G. Wells. Moura gave herself to both of these great intellectuals bodily, but held back mentally. Each of them was passionately in love with her and wanted to marry her. But Moura was still intent on rekindling her relationship with Lockhart. For the rest of her life, through the long series of lovers (and one husband, the hapless Baron Budberg, a marriage of convenience), she never gave up the idea that they would eventually be together. She survived by spying – MI5, the British Security Service, opened a file on Moura as early as 1921 and ran it for thirty years, garnering hundreds of pages (which have recently become available to us). After moving to Britain and allowing Wells to take up where Gorky left off, she continued to flit back and forth to Russia, visiting Gorky. Being allowed this free access to the Soviet Union was obviously a perk of the “job” as Stalin’s spy in the Gorky household. Besides the new material from MI5 we now have access to the letters Moura wrote to Lockhart, Gorky and Wells, as well as dozens of interviews with Moura’s friends taken by the author Andrew Boyle in preparation for a planned but never executed biography. 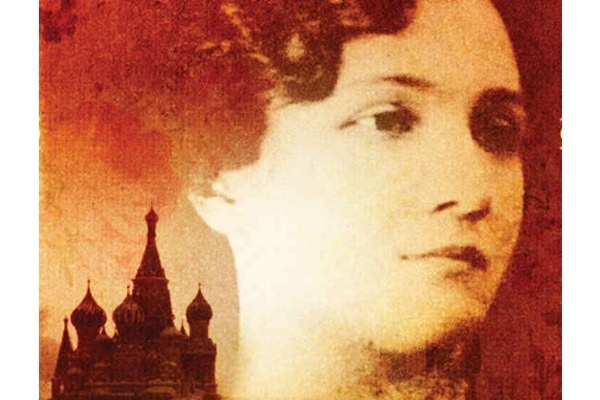 Moura’s mysterious, elusive life is a fascinating window into Revolutionary Russia, especially amongst those in the upper echelons of society. It also tells of a woman’s desperate love for a man who once promised her everything and in the end gave her nothing.